Creating a Victorian Rose Garden — Create a romantic Victorian rose garden in your own backyard with these tips and suggestions. Create a row of colorful hedges with ‘Sunny Knockout’ roses in front of ‘New Dawn’ for a show of pastel colors. Roses can be grown up a tree or an arbor. Use imagination to create a beautiful garden. Learn how to create a Victorian rose garden with these tips on placement and suggestions for creative rose blends. By using a combination of old, antique roses and the newer hybrids, the past can be brought into the new millennium with just a little imagination and creativity. 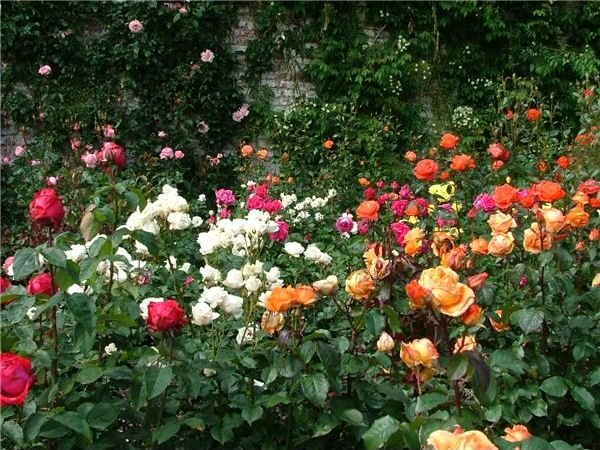 Nothing bespeaks a Victorian garden like roses. Old antique roses combined with the new hybrid varieties of today will create a garden scene that rivals those of any page of a glossy magazine cover. Victorian rose gardens were known for their carefree, almost whimsical style. Shrub roses like pink ‘Carefree Delight‘ can stand alone or be used to hide the long and leggy canes of a Grandiflora tea rose. Having a rose garden does not necessarily mean that there shouldn’t be other types of flowers in the garden. Old fashioned favorites like pinks, poppies, and fragrant herbs such as lavender have traditionally been interspersed with the roses to add a touch of color and variety. 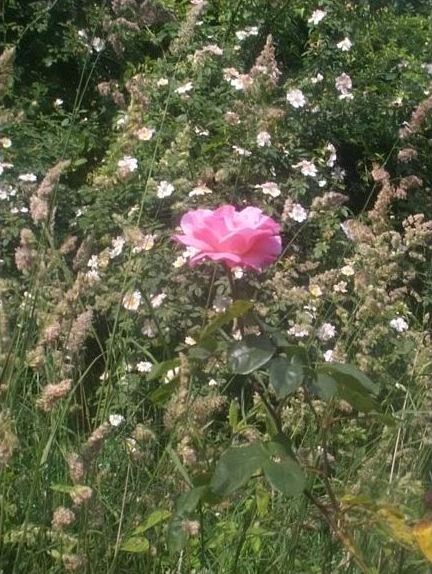 Today, there is a new variety of rose, referred to as the “Carpet Rose“. A miniature blossom, it is literally made to be a ground cover, growing to a height of no more than three inches. Added as a final touch to a garden scene, these flowers provide a dazzling display of color. When beginning, think structure. Every garden needs foliage in the form of shrubs, trees, or climbing evergreens to provide a backdrop for the colorful flowers. 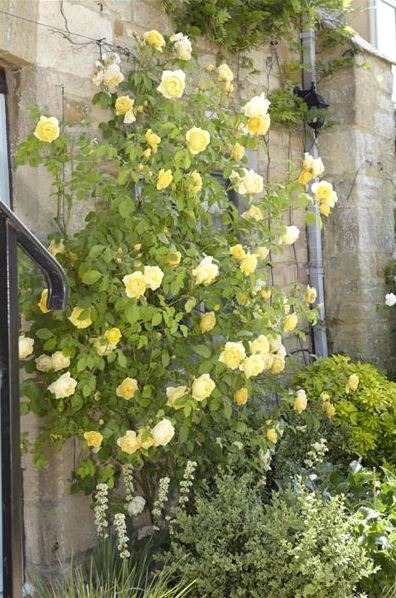 Make a striking impression by training this antique rose up a brick wall of your home. 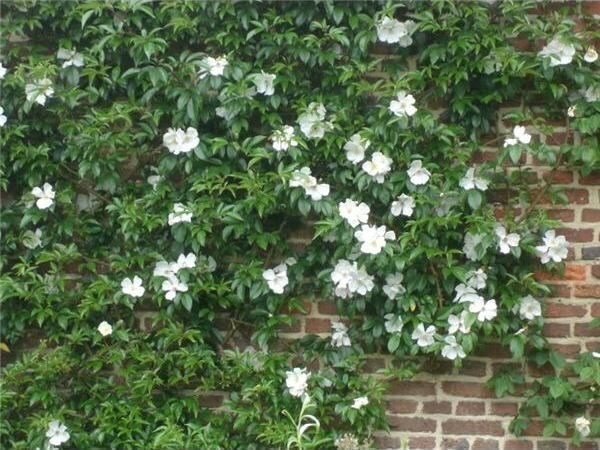 Attach trellis or latticework to the brick and as this beautiful rambler begins to grow, loosely tie the clusters of small, soft pink roses to the wood or wire. Lightly fragranced, ‘New Dawn’ is a tried and true, disease resistant old rose that will continue to give you pleasure for years to come. Classified as a shrub rose, ‘Sally Holmes’ has an upright rambling habit that given the room, has the ability to cover a wall or fence with ease. Place this rose in a spot in the garden where you want to provide structure and are looking for a dramatic display. 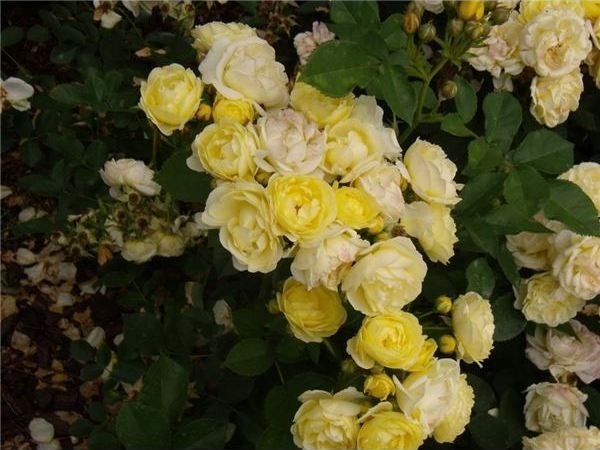 ‘Sally Holmes‘ is a vigorous grower, and will cover even the tallest of fences with an abundance of yellow-centered white blossoms, so consider carefully where you want this rose before planting. Choose from a variety of roses, such as the ‘Knockout’ for dense shrubbery. Place “Sunny Knockout‘ in front of ‘New Dawn’ for a beautiful show of pastel colors amid the shiny green foliage. 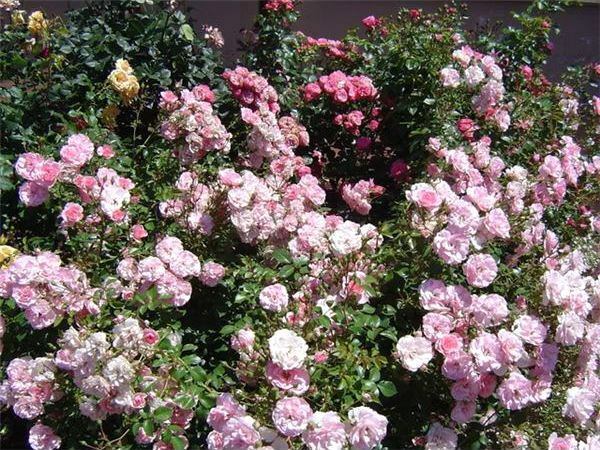 Plant several ‘Knockout’ roses together in a row to form a colorful hedge. Placing these flowers in front of the old antique climbers will make an awe-inspiring display. Once the structure of the rose garden has been formed, the sky is the limit as to what you can do with your new garden. 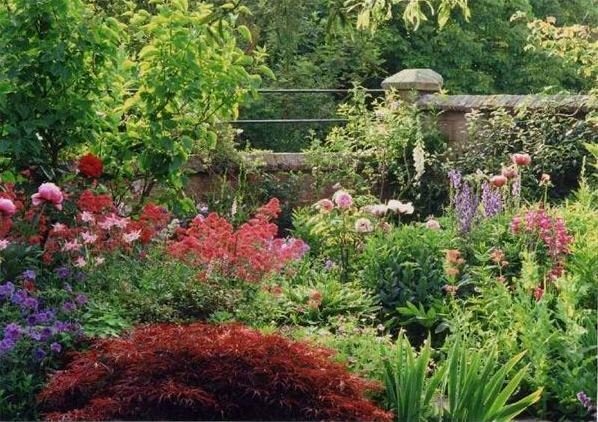 The beauty and charm of a Victorian garden have as much to do with the owner’s taste and love of flowers as it does with design and creative planning. Traditional Victorian designs were romantic, whimsical, and calming all at the same time. Your personality will reflect in your garden. Choosing to let a cane of a ‘Knockout’ rose droop, for example, rather than staking it, will add a personal touch to your garden. Deciding whether to use all pastel colors or to mix in darker varieties also makes a difference in the outcome of the garden. 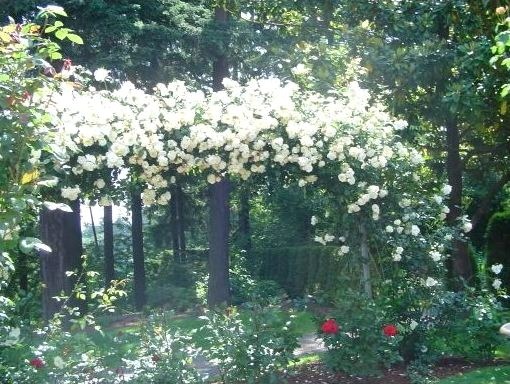 Roses can be trained up a wall, arbor, or even around the trunk of a tree. Also, remember that roses do not have to stand alone in your garden scene. Consider adding white jasmine as a climbing evergreen. The scent of jasmine and roses during springtime is one to be savored and remembered. Imagination and creativity will be what makes your garden your own. Use these ideas as a starting point and soon you will have your own scented Victorian rose garden in your own backyard. This series will focus on how to create garden scenes simply and inexpensively. It will detail combining trees, shrubs, and flowering plants rather than timbers and stones for a charming effect. 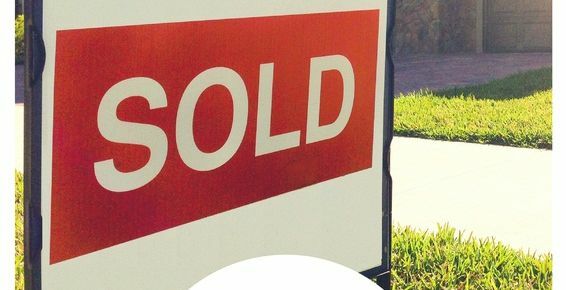 You will learn how to create a bird sanctuary, rose garden, and a cottage garden easily and frugally.